Very nice! I can just imagine Steve blithely using the world for a nice game of bowls. These were for Charles Saatchi eh? 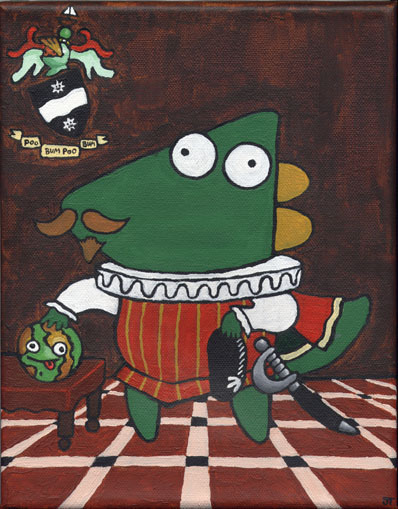 Yeah, he said he wanted to finally get some ‘proper art’. You big genius – I especially love Sir Steve. My favourite has got to be the rocket pack powered Dolphin – so graceful! these are great! 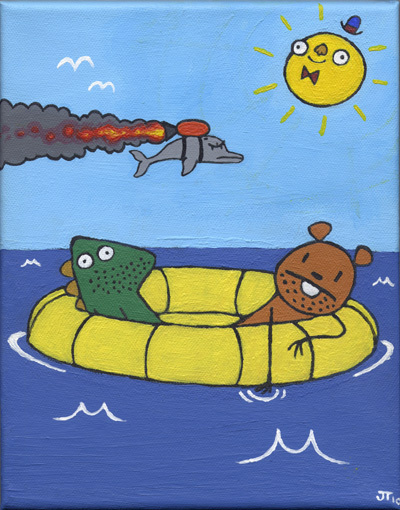 the rocket powered dolphin made me chuckle, too. Those are awesome. 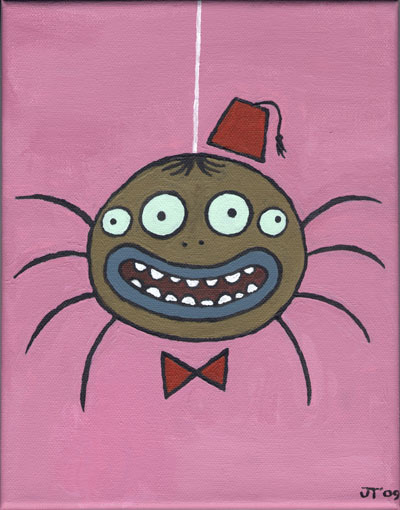 I especially love SpiderFez. I’m totally getting a Peter Lorre vibe offa him. 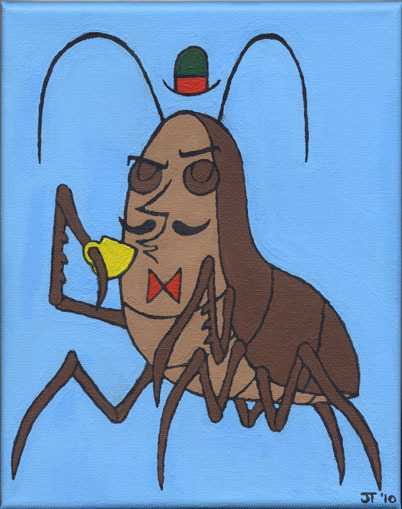 That is one classy cockroach. Oh man. How much for the one with the dolphin? Sadly these were all commissioned for a wealthy industrialist. ok, how much for a new one? This series of four paintings were 250 pounds in total, but it depends on size and content – if you have something in mind, get in touch and maybe we can work something out. Hey – I am really happy to discover this. cool job!